Unfortunately, we live in a world where terrorism has become commonplace. Whether executed by a lone wolf, or a larger, more organized group, addressing acts of terror has become a priority for law enforcement teams around the globe. The time-honored phrase, “to serve and protect” takes on an all new meaning in our day and age, as those tasked with protecting our way of life, are presented with new challenges from new threats. In order to meet the growing challenges presented by these threats posed by terrorists, gangs, and well-networked criminals, law enforcement teams must seek out the best training programs in order to equip them to do their job and to do it well. Training and experience are essential in the professional development of any effective team, and this is especially true for our men and women in blue. If you are in law enforcement or the world of public safety, you need training, and you need to be trained by the best. This article is about a world-class training opportunity, by experts in counterterrorism. The Founder and President of ASTI, Yisroel Stefansky, is an internationally sought out lecturer and a recognized expert in practical disaster relief. He has appeared on CNN, KTVT, Fox News, Israel National News, Radio Israel and CFRB Toronto, and has been interviewed on numerous other radio and television programs. He possesses certifications in Emergency Medical Technician, Forensics, and Firefighting. He is a Dive Master as well as a pilot, and he has used his expertise in search and rescue to aid in such well-known disasters as the Columbia Shuttle disaster and Hurricane Katrina. Mr. Stefansky has assembled an impressive cadre. 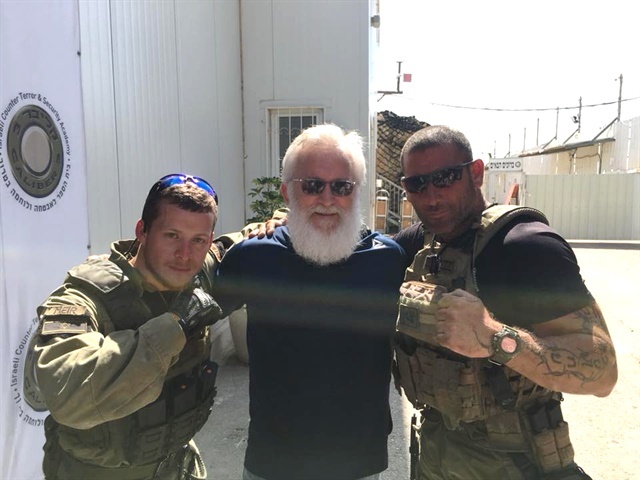 The primary instructors are veterans of Israeli security agencies, each familiar with the tactics of terror, and possessing a desire to train others to detect, prevent, respond and recover from acts of crime and terror. Unfortunately, Israel has had to learn many lessons the hard way when it comes to the war against terror, but fortunately, ASTI has assembled a team dedicated to sharing these lessons learned. Mr. Stefansky works with law enforcement and emergency response personnel, as well as recovery teams and other public safety organizations around the world, to whom he has delivered, along with his superb cadre, more than 100 courses, presentations, and consulting sessions. I was assigned the role of auditing the course and enrolled in one of the immersive programs this past summer. The majority of the participants in my class represented various entities and disciplines related to public safety and emergency response. Other classes have trained teams from military, public safety agencies, private sector personnel, lawmakers and members of Congress. Their recommendations were impressive. ASTI demonstrated from the outset that they were leaders in the field of training and professional development. Course materials and assignments are designed to ensure that a transfer of knowledge takes place and that participants are able to apply what they learn once the training is completed and one returns to his or her home jurisdiction. This creates a tool for leaders to ensure that training standards are met, and the full benefits of the program are achieved. Course subject matter and materials address specific capabilities on the U.S. National Preparedness Goal Core Capabilities list. Additionally, this particular course is recognized by Liberty University’s Center for Professional and Continuing Education, and therefore course completion earns 8.4 Continuing Education Units (CEU). The coordination of my travel was arranged by ASTI and nothing was left undone. My arrival at Ben Gurion Airport in Israel set the stage for the level of professionalism I would experience during my time with ASTI. I was met coming off of my flight by a VIP service which quickly brought me through Customs. As a frequent traveler to Israel, and as one who has navigated the customs check at Israel’s Ben Gurion airport on numerous occasions, I was impressed, to say the least. I was transported through the security process quickly and efficiently and taken to our first hotel, a luxury hotel in Tel Aviv for the first portion of the training. The course was even arranged to allow for rest and recovery from the transatlantic flight. Even though most are aware that Israel leads the world in the fight against terrorism, the instruction provided in this course went a long way towards explaining how Israel became, and why they had to become, the world’s authority in the fight against terror. We were introduced to the political and religious complexities of the region and how these complexities shaped Israel’s present security systems. Various experts throughout the course presented lectures on the threats and security challenges facing the modern democratic State of Israel, and how many of the present challenges are deeply connected to the region’s rich past. We were given an overview covering the region’s history from ancient times to the modern age. We learned key demographic data that shed light on the present situation in this region of the world, and specifically how events in this region can affect other regions around the modern world. Throughout the course, it was made plain that knowing the risks and challenges helps to prepare successful means of mitigating crime and terrorism. Lectures on the interesting cultures represented in the region helped to clarify the present situation. Throughout the course, we learned and experienced the rich tapestry that makes up the Middle East. 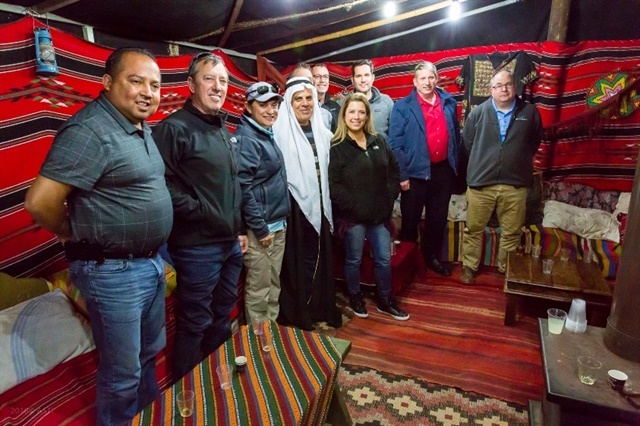 We ate a traditional meal in a Bedouin tent, visited some of the world’s most venerated holy sites including the Western Wall, the Church of the Holy Sepulcher, and many other sites thanks to the fact that one of our instructors was a licensed Israeli Tour Guide. All along the way, we learned valuable points about the security methodologies put in place to maintain, or if need be, to regain peace in this region. The program consisted of a proper mix of classroom instruction and site visits. The interaction between instructors and class participants allowed for a healthy exchange of ideas and created an environment for knowledge sharing among attendees. The course covered a host of interrelated topics. Lectures were presented by subject matter experts who skillfully combined real-life experiences with tested methodologies in their fight against terror. We heard from the people who actually lead the fight against crime and terror. These included current and former heads of Police, Emergency Response, Cyber experts, intelligence personnel, firefighters, and a host of other safety and security leaders over the course of the class. The presentations in the classroom effectively made use of visual techniques and were presented according to the highest standards of classroom instruction. We received instruction on terrorist explosive devices and tactics, the value of intelligence monitoring and gathering techniques, the threats associated with cyber terror and social media, and crisis management as well as media management during such crisis. 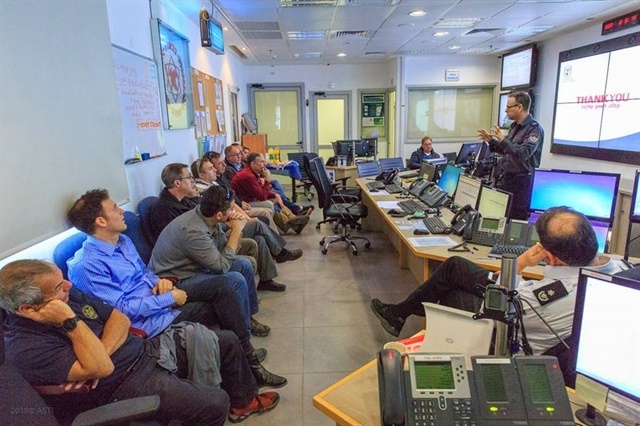 We toured critical security locations throughout the land of Israel. We traveled from location to location in a luxury coach and took in the sites with accompanying commentary by our Israeli guide along the way. Although not specifically a tour of Israel, participants in the course visited many of the traditional holy sites in the land of Israel during the course. All along the way, we learned about the significant sites that make this land holy to Jews, Christians, and Muslims. Some of the sites we visited are among the most contested sites in the world. We visited trouble spots known around the world and seen frequently on the news. We traveled to the Gaza border where we talked about the security of the Israeli citizens who daily face acts of terror, and we ate lunch in the city of Sederot where we discussed with local residents, living life under constant rocket attack of Israel’s enemies. 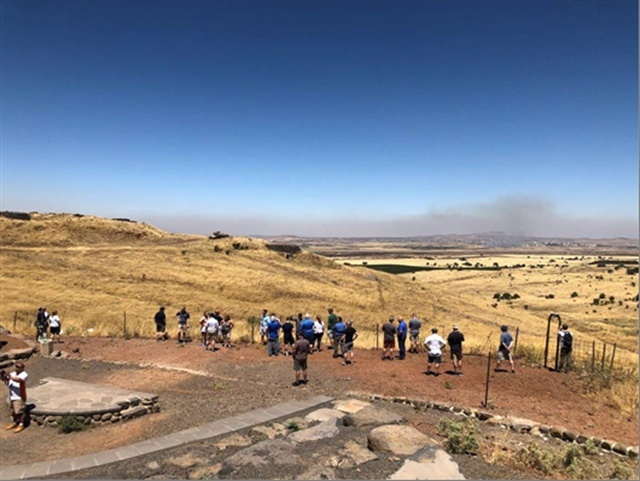 We also traveled to the extreme north of the land of Israel in the area known as the Golan Heights. There we talked with UN observers about their role, and we also met some Israeli soldiers who are aiding Syrians affected by war in their country to secretly cross the border for much needed medical assistance from the medical professionals in the State of Israel. 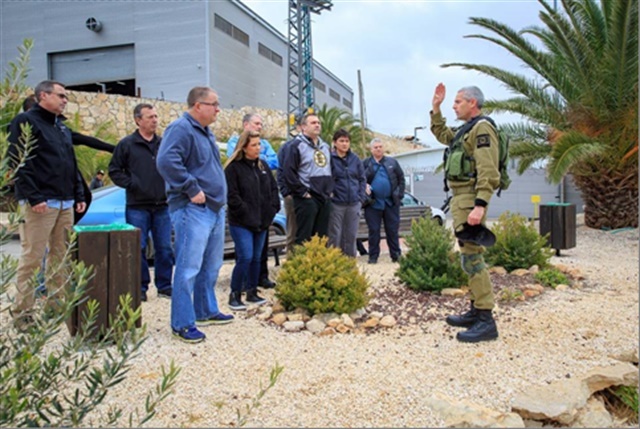 We visited sites to learn about the protection of critical assets and infrastructure and were allowed access to a key oil refinery and a shipyard in Ashdod. We learned about crisis management and the handling of mass casualties in visits to incident command centers and hospitals. We learned about first response to crime and emergency situations in visits to Fire and Police stations throughout Israel. 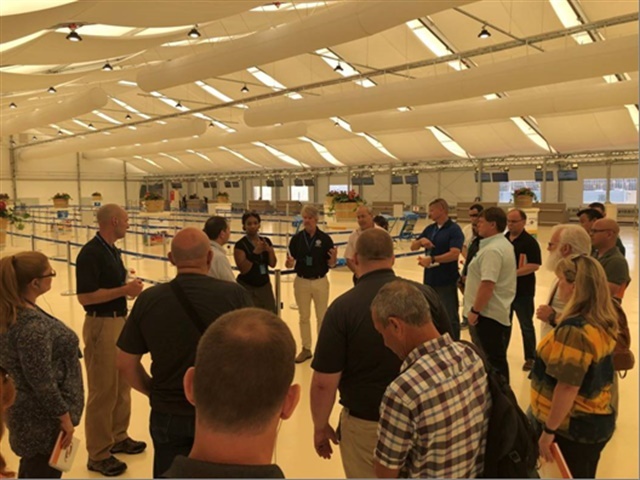 We visited Ben Gurion airport and were taken on a tour of this facility where we witnessed the various methods to ensure the safety of personnel flying into and out of Israel. We visited Hadassah Hospital where trauma personnel instructed us on how they deal with mass casualties, and how medical personnel work together with law enforcement personnel to ensure that care is given to the injured and interrogations of perpetrators of terror are handled. We also visited an emergency management security command center to learn how law enforcement and emergency response personnel communicate with a command center. We visited the Police Station in the Old City of Jerusalem where we saw Police officers monitoring cameras strategically placed throughout the Old City and learned how these are used to thwart or apprehend those who commit crime, and or acts of terror. A highlight of the course was a visit to Caliber 3 firing range. 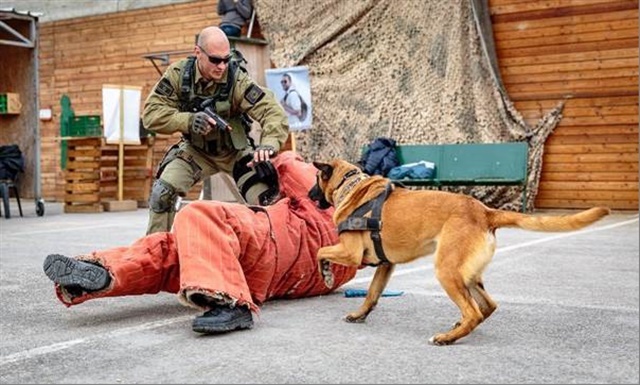 Here, in a town called Gush Etzion we participated in exercises which simulated the handling of terror situations in a school setting, an urban environment, and an incident on public transportation. Demonstrations also included the use of police dogs and how they are employed in the fight against crime and terror. The day at Caliber 3 also included a live fire exercise where participants were trained and then allowed to fire weapons at the range. Despite the heavy load of instruction, the course allowed for downtime and relaxation. Accommodations exceeded my expectations. We stayed in luxury hotels at Tel Aviv and in Jerusalem and evenings allowed time to experience the culture of this fascinating part of the world. According to experts in the field of counterterrorism, the threats that affect the Middle East are often seen later elsewhere in the world. The war against terror is no longer isolated to a distant land, somewhere in the Middle East. Unfortunately, residents of the United States have, in recent years learned that we are not immune to such horrific scenes. This tragic development places new challenges before and upon those whose job it is to serve and protect. It has caused law enforcement to seek out the best training in order to guarantee the safety and security of our residents. Fortunately, the Israelis are among our closest global allies. We at Advanced Automation Corporation find ourselves in a unique place and are confident that this course can serve as a foundation for law enforcement personnel who are searching for effective training programs for their team members. 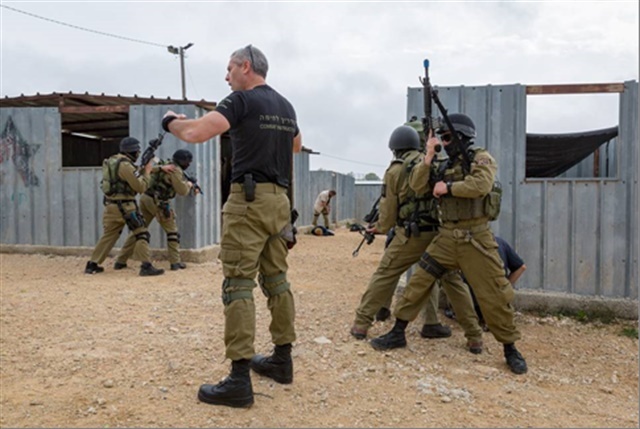 We see our role as a facilitator between law enforcement in the U.S. who need world-class training in counterterrorism, and the Israeli team that provides it. Let us help your team become equipped to face the challenges of our modern world. A member of our team will be pleased to discuss this opportunity more fully. Training and experience are essential in the professional development of any effective team, and this is especially true for our men and women in blue. For a brief video of our program, go to https://youtu.be/-B3-bety7HE Learn more about how you can equip your team today!